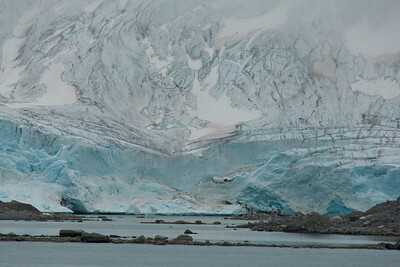 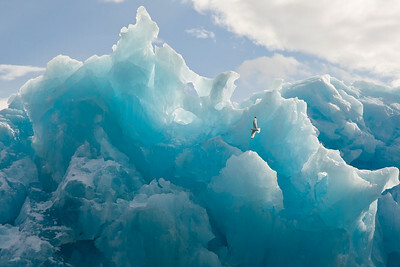 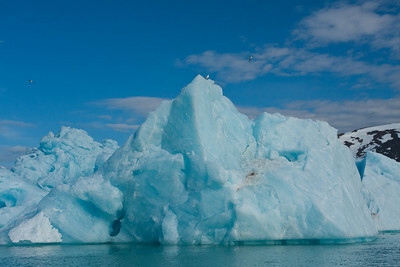 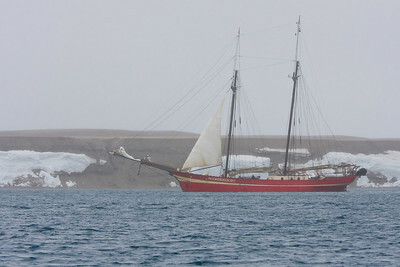 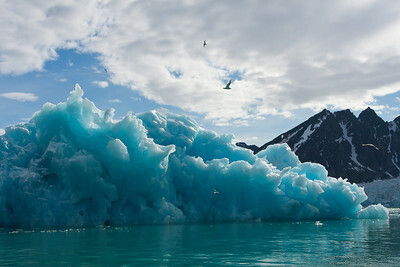 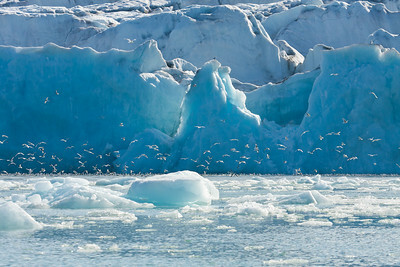 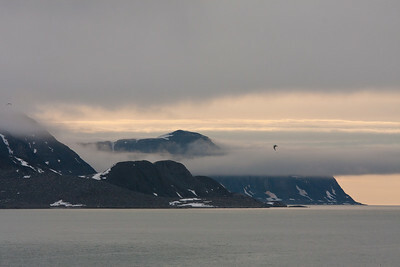 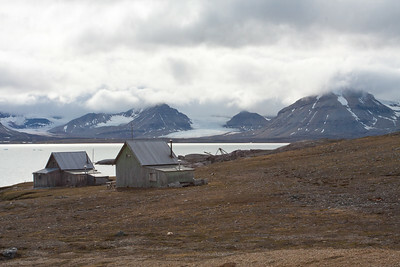 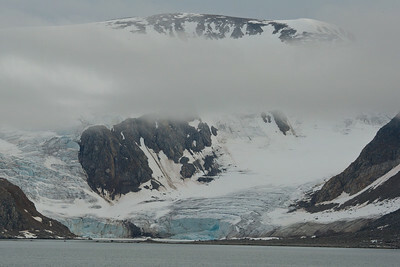 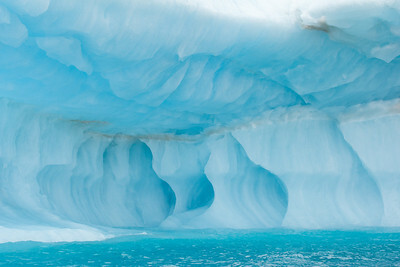 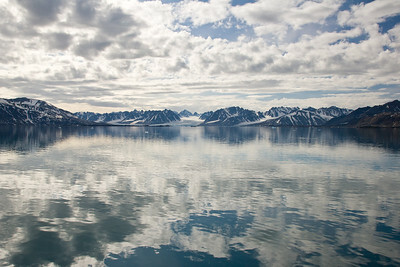 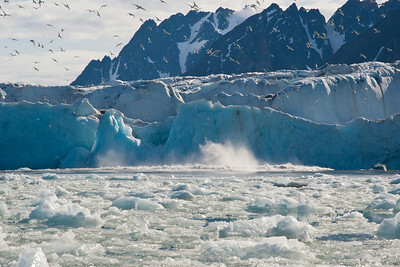 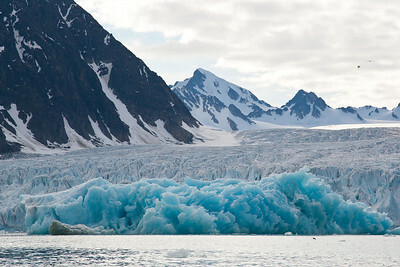 Glaciers, icebergs, heavy sea ice and Arctic tundra around Spitsbergen. 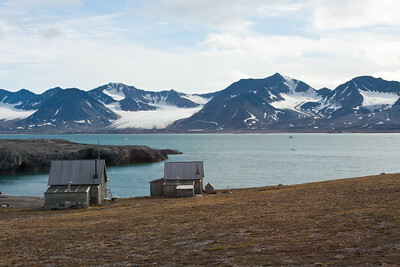 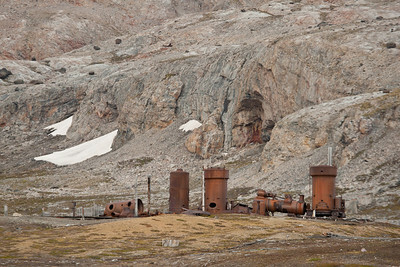 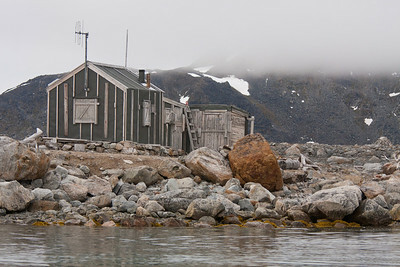 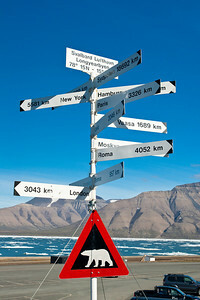 Longyearbyen, Svalbard, our port of embarkation at 78 degrees north latitude, high above the Arctic Circle. 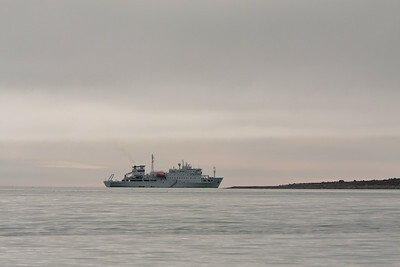 Our ship, the Akademik Sergey Vavilov. 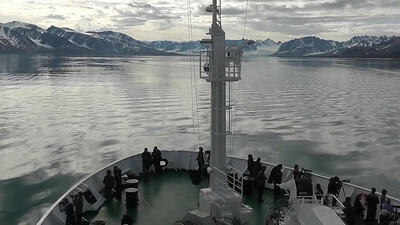 The gangway on the starboard side was used to embark and disembark the Zodiacs for cruises and shore landings. 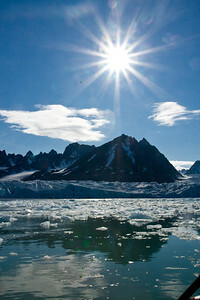 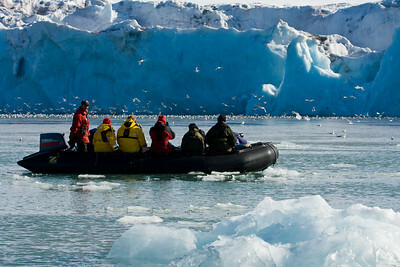 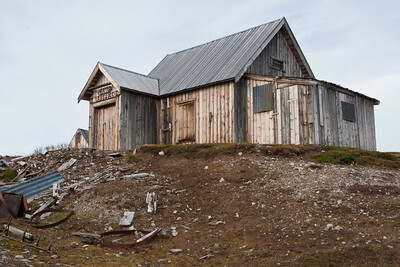 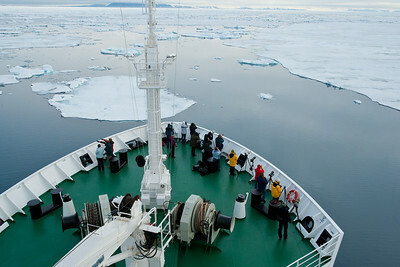 On board the Vavilov approaching an ice free bay for a Zodiac cruise to nearby glaciers. 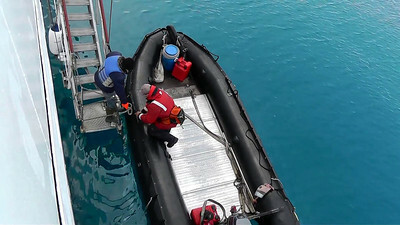 The Quark expedition team loads the Zodiacs for a cruise to nearby glaciers.